Top America’s Cup commentator, Peter Montgomery recently met with Emirates Team New Zealand COO, Kevin Shoebridge on New Zealand’s Radio Sport programme, presented by Jason Pine, where they discussed the current state of America’s Cup preparation. There had been much focus on the failure of the five-metre-long carbon foil arms and although it appears that has now been fixed, the late delivery has caused the America’s Cup World Series schedule to be revised backwards. Although Shoebridge was at pains to state that the arm problem was not the only reason for the event re-schedule. The learning curve for the first AC75s was “expected to be difficult, and they will be a handful” and also the timescale for the Kiwis to that first European event would have been too tight – only some three weeks – before they had to ship the hull. With the first AC75 now not expected on the water until the end of July, the opening event in Cagliari, Sardinia, has shifted back from October 2019 to late April 2020. This schedule allows the Kiwi team a much longer build-up in New Zealand before they have to ship to Europe in early 2020. Also allowing them to get on with their second boat, which is going to be their actual race boat, while they have the first AC75 available for comparison. Note that the teams are able to launch a second AC75 after February 15, 2020, which is now some two months before the start of the first ACWS regatta in Europe, thus gaining valuable training/development time on two boats, a considerable advantage over those teams going with a one boat programme. The AC World Series programme now looks like; after Cagliari in April there will be a second event in Europe in June, then one in the USA in late August and then a new, fourth event back in Auckland in October 2020. 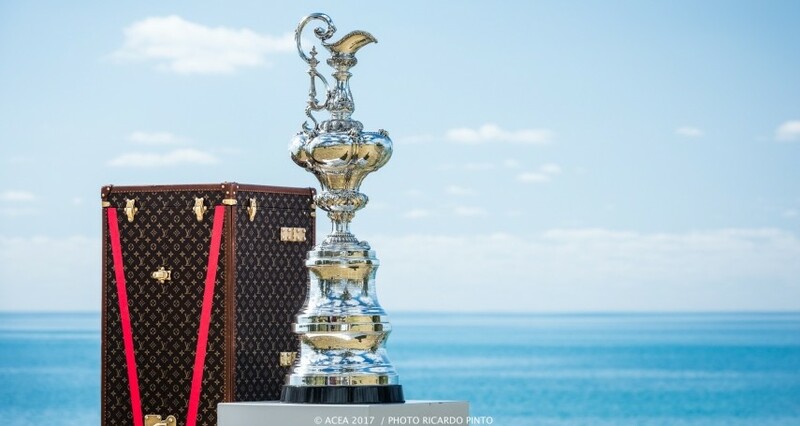 This fourth event would be slotted in before the Christmas Cup starting mid-December 2020, as originally scheduled, magically getting the America’s Cup sailing program back on track. The AC36 Challenger series will be held in January and February 2021 with the America’s Cup match taking place between 6 and 21 March 2021, in New Zealand’s Hauraki Gulf, on the east coast of the North Island, with Auckland City’s Waitematā Harbour as the host venue. Looking at the three possible late teams that still have to organise their finances, Shoebridge says that at this stage no one has withdrawn. Even Malta is indicating that they are likely to be back in the game, and the Dutch team is also working hard to get to the table, while Stars & Stripes looks good and are already in build. But time is a limited resource and with a nine month build time for an AC75, they have to be building by this June to be a realistic contender.